On February 25, pro-abortion Senate Democrats were able to block a vote on the Born-Alive Abortion Survivors Protection Act (S. 130) sponsored by Sen. Ben Sasse (R-Neb.). While proponents prevailed 53-44, that was seven votes short of the 60 votes necessary to move forward (“invoke cloture”). 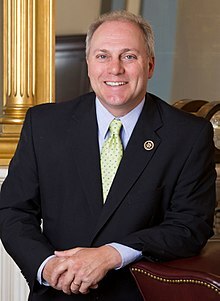 Rep. Scalise was referring to filing a discharge petition. A discharge petition allows a majority of the House (218 lawmakers) to force a floor vote on a bill, even if pro-abortion leaders oppose the measure. Jennifer Popik, J.D., director of federal legislation for National Right to Life, is urging House members to sign onto the petition to force the protective, lifesaving Born-Alive legislation to a vote on the floor of the House. Popik lauded the pro-life House members who are taking to the house floor day after day to attempt to protect these babies. “The issue is clear — babies born alive after an attempted abortion deserve the same level of life-saving care that any other baby would be give,” she told NRL News Today. Care Not Killing Alliance: Royal College of Physicians should ditch neutral position as doctors once again oppose assisted suicide.